Editor’s note: The following information was provided by the Legislative Press and Public Information Bureau. STATE HOUSE — On the eve of a forecasted snowstorm, Rep. Patricia A. Serpa (D-Dist. 27, West Warwick, Coventry, Warwick) and Sen. Erin Lynch Prata (D-Dist. 31, Warwick, Cranston) have introduced legislation that would include hunting dogs in an existing law that protects animals from extreme temperatures. The current law, which the General Assembly enacted last year, makes it illegal to keep any dog outside when the ambient temperature is above or below the industry standard for the weather safety scale as set forth in the most recent adopted version of the Tufts Animal Care and Condition Weather Safety Scale. However, the law makes an exemption for any person raising or training a gun dog or hunting dog. The legislation comes in the wake of a dog breeder on Toll Gate Road in Warwick whose operation, and the public outcry against it, has drawn national attention. Despite numerous complaints from people concerned about dogs kept outside on the property, Warwick Police and the RISPCA state they’re unable to address the concerns because the law exempts dogs raised for hunting from state law requiring dog owners to keep their animals out of the cold. Dr. E.J. 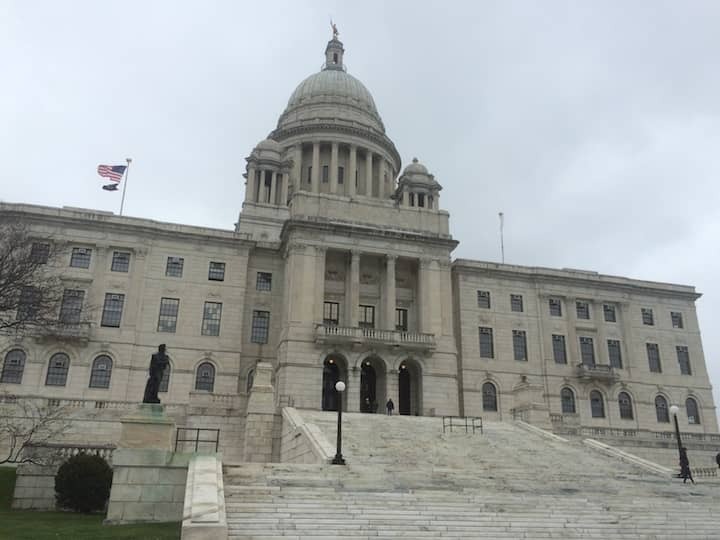 Finocchio, president of the Rhode Island Society for the Prevention of Cruelty to Animals, said he wants to see a change in state law. “There have to be provisions placed in the law that say when the weather conditions become adversary to the health and wellbeing of these animals that something has to be done,” said Finocchio.